The topic of stem cells has been very high profile in the media in recent years. There is much public interest in stem cells but also much confusion and misinformation, with some companies already offering “stem cell products” and bogus “stem cell therapies”. 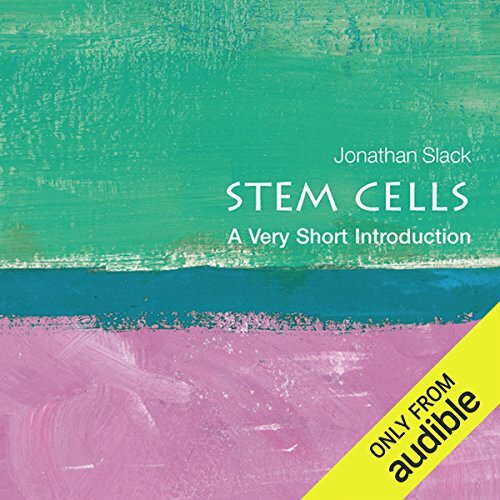 In this Very Short Introduction, Jonathan Slack introduces stem cells; what they are, what scientists do with them, what stem cell therapies are available today, and how they might be used in future. Despite important advances, clinical applications of stem cells are still in their infancy. Most real stem cell therapy today is some form of bone marrow transplantation. Slack introduces stem cells by explaining the difference between embryonic stem cells, which exist only in laboratory cultures, and tissue-specific stem cells, which exist in our bodies. Embryonic stem cells can become any cell type in the body, so diseases that may in future be treated by functional cells derived from these sorts of stem cell include diabetes, Parkinson’s disease, heart disease, and spinal trauma. He then goes on to discuss the properties of tissue-specific stem cells and the important technique of bone marrow transplantation. Slack concludes by analyzing how medical innovation has occurred in this area in the past, and draws out some of the lessons for the development of new therapies in the future. 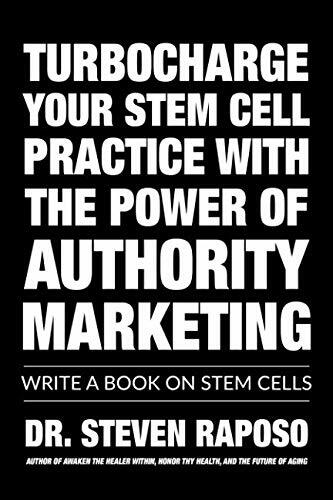 IMAGINE TAKING YOUR STEM CELL THERAPY PRACTICE TO THE NEXT LEVEL ALL BY DEVOTING A FEW MINUTES A DAY TO CREATING A GAME CHANGING BOOK FOR YOUR PRACTICE, AND YOUR PATIENTS. THE SAD TRUTH IS THAT YOU AS A DOCTOR OF CHIROPRACTIC HIGHLY EDUCATED BUT AN UNDERVALUED MEMBER OF THE MEDICAL COMMUNITY. YOU ARE SELDOM SEEN AS AN AUTHORITY EVEN THOUGH YOU’VE GRADUATED FROM A CREDENTIALED CHIROPRACTIC SCHOOL ANDPASSED ALL OF YOUR BOARDS. IT’S STILL NOT ENOUGH. YOU KNOW WHAT YOU ARE DOING WHEN IT COMES TO MAKING A DIFFERENCE, AND YET THERE IS PUSHBACK, RESISTANCE, AND BOTTOM LINE SKEPTICISM. SO, HOW DO YOU EDUCATE THE PUBLIC, GAIN THE CREDIBILITY AND AUTHORITY YOU DESERVE WHILE AT THE SAME TIME DRAMATICALLY ELEVATING YOUR STATUS WITH YOUR PATIENTS?IN TURBOCHARGE YOUR STEM CELL PRACTICE WITH THE POWER OF AUTHORITY MARKETING, DR. STEVEN RAPOSO, A CHIROPRACTOR, AND AUTHOR OF 5 BOOKS, OUTLINES A POWERFUL METHOD TO DO JUST THAT: BECOME A TRUSTED AUTHORITY IN STEM CELLS BY BECOMING A PUBLISHED AUTHOR ON THE SUBJECT. BECOMING A PUBLISHED AUTHOR CAN HAVE INVALUABLE EFFECTS ON YOUR PRACTICETHESE INCLUDE:BECOMING AN AUTOMATIC AUTHORITYGENERATING LEADS FOR YOUR STEM CELL PRACTICEDISPELLING MYTHS SURROUNDING CHIROPRACTICBECOMING A LOCAL CELEBRITY AND THEREBY GAINING THE TRUST AND RESPECT OD YOURCOMMUNITY.BUILDING A LOYAL FOLLOWNG OF FANS AND PATIENTS.TURBOCHARGE YOUR STEM CELL PRACTICE WITH THE POWER OF AUTHORITY MARKETING SHARES WITH YOU WHY WRITING A BOOK ON CHIROPRACTIC IS A MUST FOR YOUR PRACTICE AND YOURCREDIBILITY. IN THIS BOOK HE ALSO SHARES WITH YOU HOW TO OPTIMIZE YOURSTATUS AS AN AUTHOR BY REVEALING POWERFUL STRATEGIES THAT CAN TAKE YOURPRACTICE TO THE NEXT LEVEL WITH THE POWER OF AUTHORITY MARKETING. THISSYSTEM HAS BEEN OPTIMIZED AND STREAMLINED SO THAT EVEN CHIROPRACTORSWITH THE MOST HECTIC SHEDULES CAN CREATE A FULL PUBLISH-READY MANUSCRIPTIN JUST A FEW MINUTES A DAY. 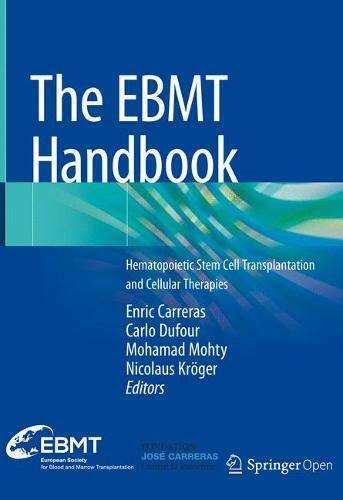 This Open Access edition of the European Society for Blood and Marrow Transplantation (EBMT) handbook addresses the latest developments and innovations in hematopoietic stem cell transplantation and cellular therapy. Consisting of 93 chapters, it has been written by 175 leading experts in the field. Discussing all types of stem cell and bone marrow transplantation, including haplo-identical stem cell and cord blood transplantation, it also covers the indications for transplantation, the management of early and late complications as well as the new and rapidly evolving field of cellular therapies. This book provides an unparalleled description of current practices to enhance readers’ knowledge and practice skills.